Hi, my name is Jess, and I'm addicted to blogging. From the moment I hit that "New Blog" button, and Published my first post, I had no idea how much my life would change. 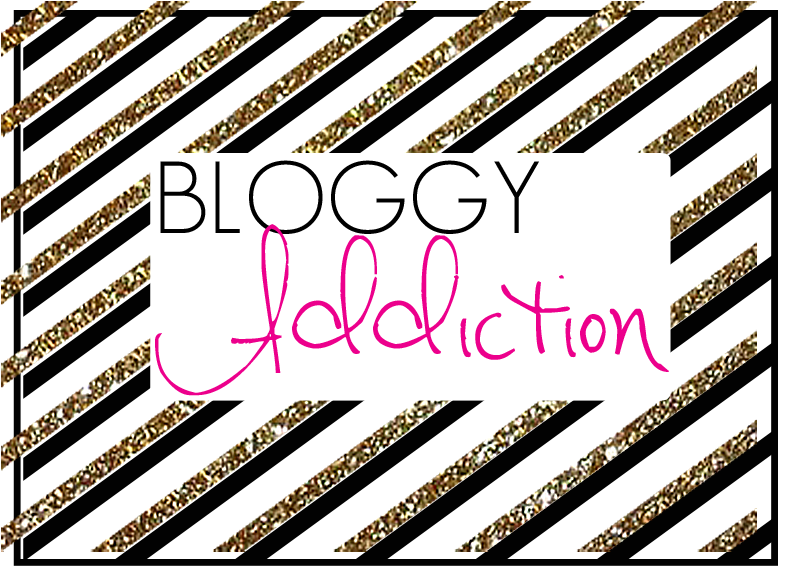 Blogging has become a part of me in every way. As stated in my previous post #2 Clueless B.L.O.G.G.E.R. I talked about how your blog should represent you! Which means, let's talk design. I've been asked in the past by other bloggers, to help them out for free. I think at first I was reluctant, but then I changed my whole view. Of course, I wanted to charge for blog designs because it's time consuming, and my creativity was at use. Then I began thinking, you know what...I was a beginner in the the boggy scene and not a lot of other blogs wanted to help me out. So here I am, here to help with design. I took down my blog design "business" because I really don't have the time for it, and because I liked helping the bloggers who were new and needed the help. 1. YOU. Your blog should represent who you are. To me, my blog is my internet home. I want my guests to feel my personality and feel welcomed in my internet home. Just like my house...when my guests walk into my house, I want them to feel comfortable. I want them to see my style through colors, furniture and decorations. 2. COLOR. Figure out what your color combo is. It can be more that two colors. Just as long as everything is consistent. The colors should be one of the first things your pick, but if your a scattered brain like me, and need to see every color together before picking your final colors, start a color board. 3. FONT. Font is so important, because it attracts readers. If your header has amazing font, that's different from the others and stands out, readers want to stay and look around your blog. I personally love fonts. 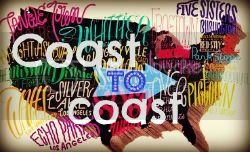 When I click around during blog hops, I love finding blogs with amazing font! 4. ELEMENTS. You will need certain tools for your blog design. When I first started, I used picmonkey because it's free, and easy to use. Now I've upgraded to Adobe Photoshop Elements 12, and I also have Adobe's Creative Suite. It's expensive software but so worth it in the end. Personally, I use Elements for absolutely everything unless, I need to do something more in depth. 5. HEADER. This is a given! You need a header. The header is the most important, because it's the first thing readers see. So more creativity and design should go into your header. When I click on a blog, I look for something to catch my eye. Which would include font, color, and design. If the header is interesting, then I continue to read. The name of your blog should be in your header. 6. ABOUT ME. Every blog needs an about me part on their sidebar, and page. I can't tell you how many times, I've come across blogs that don't have an about me picture on their sidebar. This annoys me, because I want to get to know the blogger that I stumbled upon. If I can't find your name anywhere on your blog, then there's a problem. I won't follow you, or continue to read your blog. I'll just move on. If you don't have one, then I think you must not care to share anything about yourself to me or the public. Then I start thinking, "whats the point of having a public blog, if your not sharing anything?" Which means, you won't be sharing much about your life with your readers. It also annoys me because if I'm a new reader, and lets say you have shared your life in past posts....I'm not going back to every single post to read about you and your life. Give me a crash course! Readers want to learn about who you are, what you like, etc. The about me pic and page is important, don't forget it!! 7. BUTTON. You should have a button to share with other bloggers. When I link my blog during linkups or blog hops I love to use my button. The more I share my button the more recognition I get from other bloggers, which leads them to my blog. The button should be a reflection of you and your blog. I add my design elements on my button to keep everything consistent. I use to use this website "Grab my Button" Code Generator, but recently it hasn't been working properly. Maybe they're working on fixing it. Just design you button, an upload to photobucket. Get the Direct URL for the button to add and it'll make the "Grab my Button" code for you. 8. SOCIAL MEDIA BUTTONS. You need these, and designing them is so much fun...lol It can be a pain, but they add that bang your blog needs. I was so desperate to have these in the beginning. I searched Google forever until I figured out how to finally make my own social media buttons. These are the buttons I started with. Right click the buttons you want and save the image. You could also just click on the image and then save it. However you want. First I downloaded a black white page. Just google blank page and download it. Upload it to picmonkey. Once you have a blank page on picmonkey go to overlay. Upload the button you want as an overlay. Once you have it as an overlay you have change the colors. Whatever you want to do with it. You repeat those steps for each of the buttons you want. Next upload each of your designed buttons to Photobucket. Below you'll find a box that has an HTML code, direct URL code, etc. You'll need the Direct URL code for these. Once you have a design, and have uploaded them to photobucket you would use this code. The second code can be used for all the rest of the social media buttons. Instead of "Follow me on Bloglovin'" change the bloglovin' part and add the social media name to it. You could use this code for all the social media except the mail. Once you got this down, all the rest of the elements of design are exactly the same as the buttons. 9. TABS. I personally love seeing different kinds of tab bars! This is the part that names your pages. It adds a lot to a blog, if you ask me. I recommend doing one if you have the time. 10. SIDEBAR TABS. I love sidebar tabs. There are so many out there to be honest. They had personality to your blog, and they're really easy to make. They take the most time, but they're awesome! Invest your time with these sidebar tabs. 11. FAVICON. I love these things. The favicon is the icon in the corner of the tabs on your Internet "app" I use Chrome, so on Chrome it pops up in tabs. Instead of the orange blogger icon, you can personalize your own icon. It adds personality to your blog. I currently have an anchor, because in the beginning of my design I used an anchor in my header. I think I may change it to something else. 12. SIGNATURE. After every post bloggers use their signature to end a post. I love this! It makes me feel like they're talking to me. The signature can be your own name, your blogs name, or last name, etc. Whatever you decide you want. 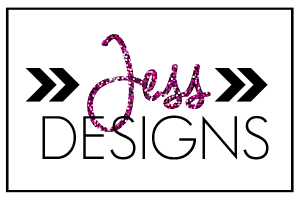 I use my own name, and blog name together...xoxo, Jess DIY Bride. I also use clickable social media buttons with my signature, in case someone loves my posts and wants to follow me, or contact me through my social media. This is optional, but in the past I've had readers email me and tell me how easy it was for them to contact me. Notice, I kept my signature close to my design. Everything consistent. 13. POST ARCHIVE. I majority of bloggers, don't display their archive on their blogs. Which is weird, because if I like a blog enough, I start exploring past posts. If you don't care to display your archive, I recommend you having an app that shows your past posts. I use Engageya, because I like the pretty circles. It looks nice, and clean. With Engageya they customize each one of your posts. Meaning after this post is done and posted, at the button Engageya will add other posts that are similar to this post. Really cool. Another app you could use, (I've used before as well) is LinkWithin. I liked it, and it did almost the same thing. I liked the design better with Engageya. 14. POP. When you first click on to a blog, think of the first thing that catches your eye. I use glitter as my pop, and personality. I LOVE me some glitter! Can't you tell? It doesn't have to be glitter, but something that stands out. I have helped others get started, and if you need any help I will be more than happy to help you get started. It's really about playing around with what you like, and putting it all together. If you want your blog to be professionally done, I know a few blog designers that are amazing, and great to work with. Here are some great blog designers: They all have great creativity and I would def recommend using them if you don't care to design your own blog. Hi Kari, No problem. If you need any help just email me. I'll try my best :) Thanks for leaving me a comment.